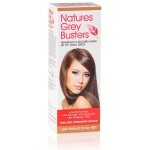 Colour your hair the healthy way with PPD free Natures Grey Busters Natural Blue Black 430 hair dye. This allergy free hair dye is the safest way to colour grey as it contains no ammonia or PPD's. Natural Blue Black Colour is the darkest shade available and should only be used by those a shade lighter than your current colour or match your current colour to really blend away your grey. 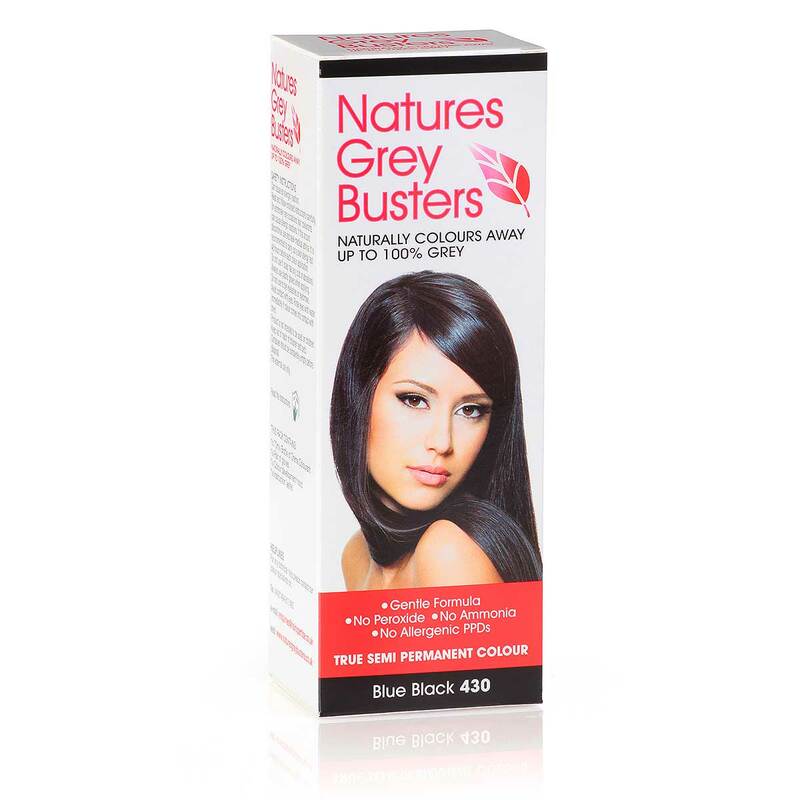 Natures Greybusters are the ideal dye for grey hair as it really covers grey and gradually fades out after 6-8 washes. Order now and get yours within 48 hours. black, blue black, hair colour, PPD free, Natural Hair Dye. Shade 430 will give increased warmth and vibrancy. 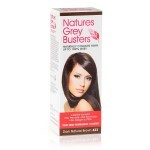 It is not recommended for use on high percentages of grey or if your grey is concentrated in one area.